What we have here is Greyed Birds eye maple. The greying happens when the wood is soaked in a solution of Steel wool and vinegar, and a reaction with the tannins in the wood happens to create this unique color. Its got some great grain underneath the polished finish. 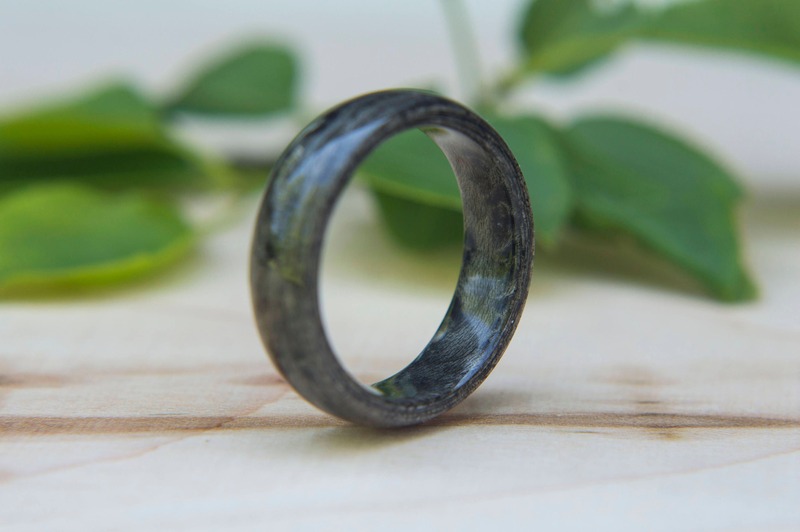 This ring can look good if your wearing similar colours, or paired with another wood as a 2-tone type ring. So beautiful! And it seems sturdier than I originally thought. Thank you for the engraving! 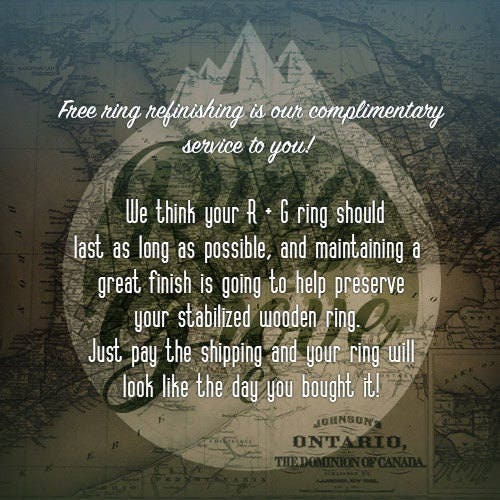 Purchased a ring for my now fiancé, measure wrong the first time but Jeff was quick to let me know about the replace for incorrect size. Jeff was very grey about getting back to me and his work is absolutely amazing and am so happy about the final product. 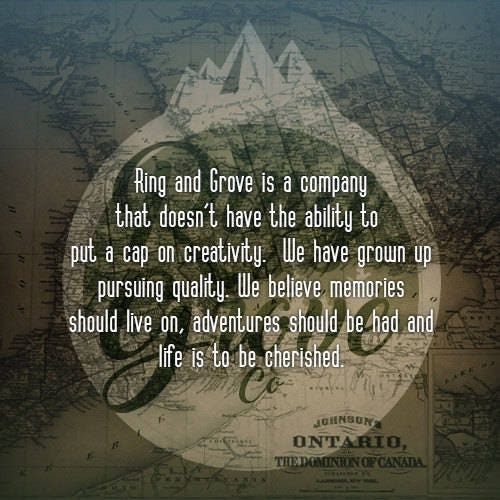 We’ve been getting a lot of compliments about the ring. Thank you Jeff. The ring was absolutely beautiful! But I ordered the wrong size. Ugh. But Jeff has be absolutely amazing to work with and getting a smaller size. 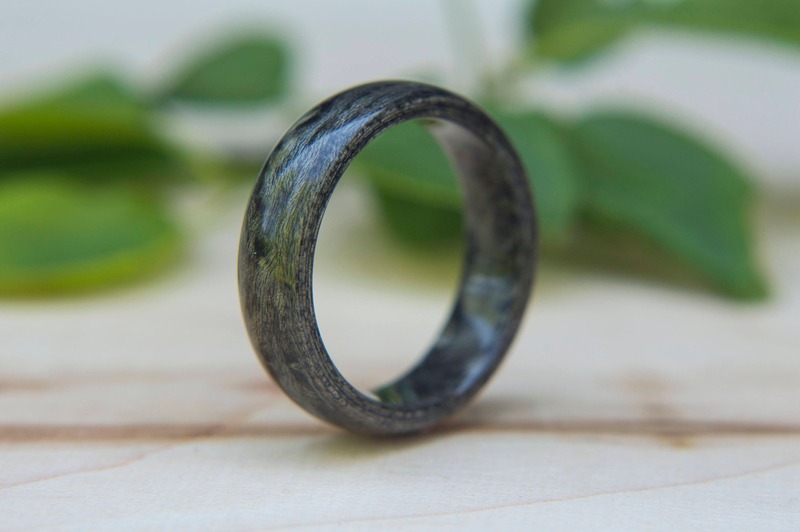 A very unique ring that is a standout amongst other wood rings.